Compared to past console gaming generations, there haven’t been too many flight combat games released on PS4 or Xbox One. The PS4 is especially lacking in this genre, however, some of the exclusive’s on Xbox one is worth playing, but They’re not amazing. 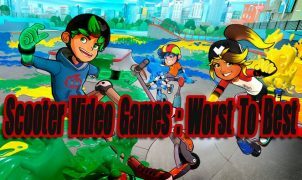 I decided to also include updated ports and Xbox One backward compatible games to this list because many of those older titles are better than current generation titles. 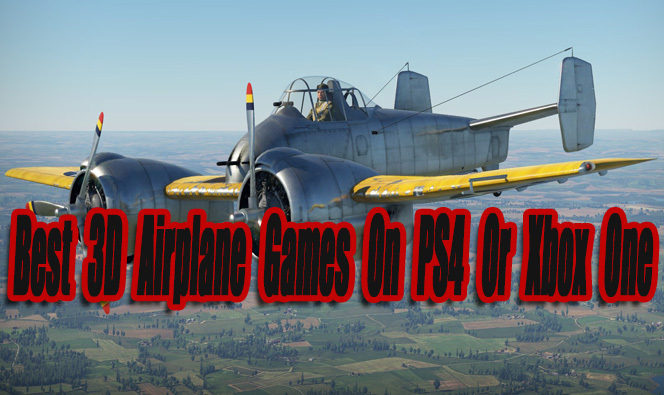 The following article covers the best 3D Airplane games on PS4 or Xbox One so far. 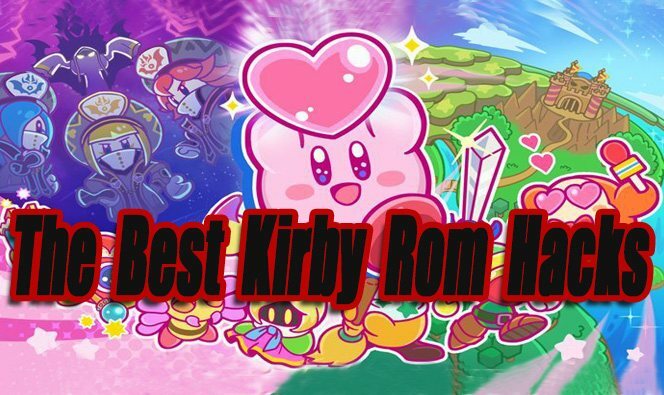 I have also included the following lists at the end of this article… honorable mentions, anticipated games coming soon, and great games that have 3D Airplanes or flight in them. When new worthy games are released, this article will be updated. Note: Games labeled with *Editors Pick* in the title are my personal favorites. 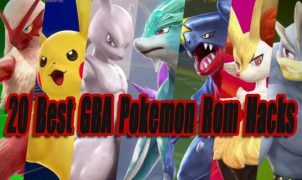 Note 2: I decided not to create a numbered ranked top list because many of the games listed offer different types of gameplay experiences. An Original Xbox game known as Crimson Skies: High Road to Revenge is my all-time favorite arcade-style flight combat game. I am happy Microsoft decided to add an enhanced version of Crimson Skies: HRTR to its Xbox One backward compatibility library. The resolution has been bumped to nearly 4K, higher quality textures have been added, and the frame rate is rock solid. When playing on an Xbox One X, I can’t believe how beautiful this game looks considering it’s 15 years old. The game has a cool story and Indiana Jones inspired characters. The game’s missions are varied well and are a blast to play through, providing a lot of challenge that never becomes frustrating. The old school dogfight music fits nicely into the setting of the game. The playable airplanes all have neat designs, unique weapons, and different attributes. Overall, if you own an XBox One and don’t mind arcade-style gameplay, you have to check out Crimson Skies: HRTR. 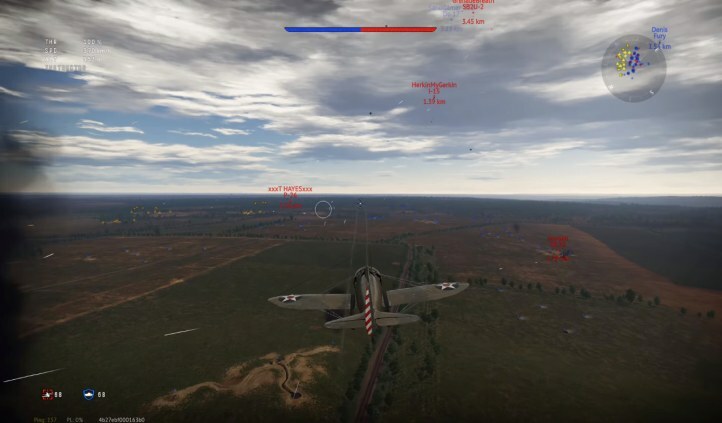 War Thunder is a free to play online multiplayer/Solo ground and air combat simulator. You can choose to play with warships, tanks, or airplanes. The airplane section of War Thunder is robust, with a large selection of real-life airplanes to unlock. Since it’s free to play, you can choose to pay for credits with real money, or save up earned credits to buy new airplanes. Going the free route works fine for basic ranked airplanes, but for higher ranked planes it feels like a brutal grind. The airplanes are balanced well but have pluses and minuses depending on who you are matched against. War Thunder has over 80 combat maps available to battle on. The single player campaign mode takes place at famous historical battlegrounds. The single player campaign is a nice addition, but it’s lacking compared to the primary Multiplayer mode. Overall the online dogfights are addicting and intense, making War Thunder the best online Multiplayer game available on this list. 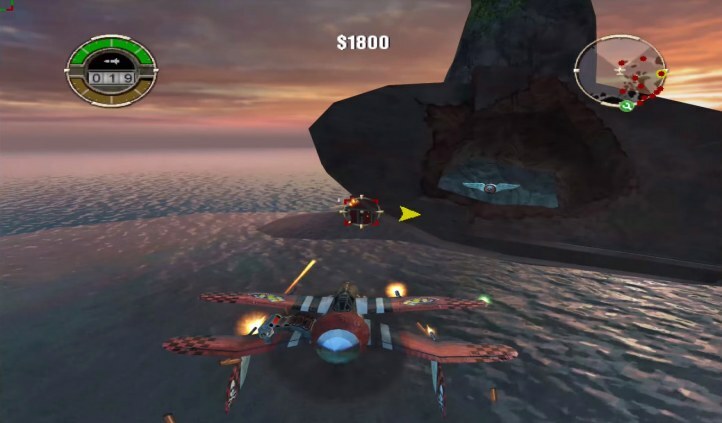 Star Wars Jedi Starfighter is a classic arcade-style flight combat game first released on PS2 and the original Xbox back in 2002. The PS2 version was ported to PS4 with a 108OP resolution upgrade in 2016. Recently the original Xbox version of Star Wars Jedi Starfighter has been added to Xbox One backward compatibility. Like Crimson Skies: HRTR, Star Wars Jedi Starfighter has received a near 4K resolution upgrade, higher quality textures, and smoother frame rate on the Xbox One/X. Star Wars Jedi Starfighter is another older game that holds up well in the graphics and gameplay department. There are 20 different action-packed missions to play through. The music, sound effects, characters, spacecrafts, and intense dogfight battles are impressive. The games setting and story stay true to the movie it is based on, Star Wars: Episode II. 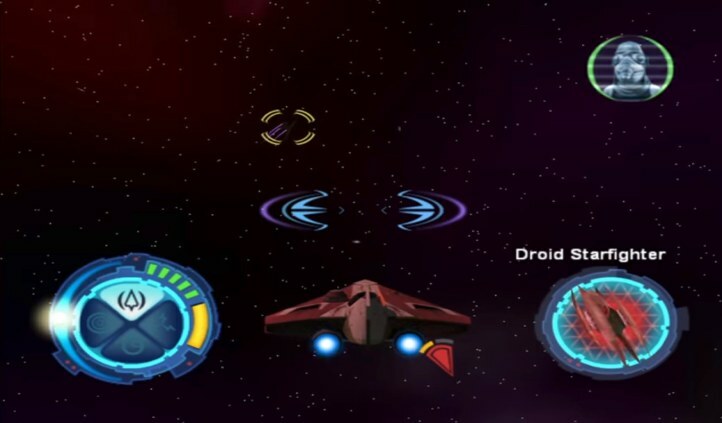 If you are a Star Wars fan or enjoy arcade style dogfight gameplay, Star Wars Jedi Starfighter is a must play. 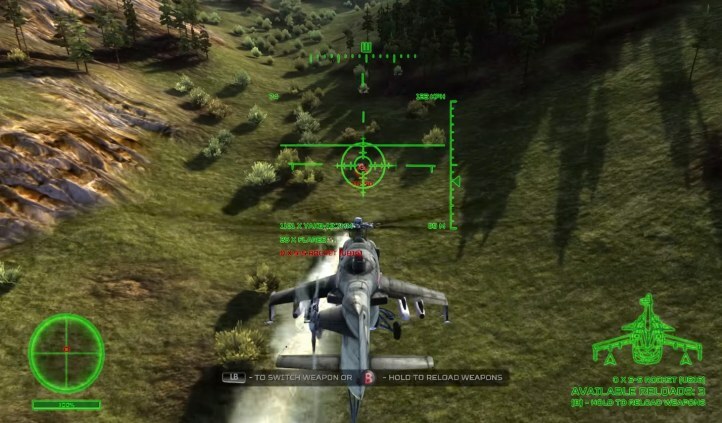 Air Missions: HIND is actually an indie created helicopter combat simulator. Air Missions: HIND’s helicopter is based on the popular Russian Mi-24 Hind assault helicopter. The Mi-24 Hind is fully customizable when it comes to weaponry, with a lot of different weapon options to equip. Air Missions graphics are good for an indie title on a limited budget. The controls are ok, but it will take a little practice to get used to them. There are 15 fictional missions to play through located in Asia, Europe, and the Arctic Ocean. The missions are fun, challenging, varied, and fairly addicting. Once I started playing Air Missions I did not want to stop. Air Missions reminded me of Apache: Air Assault on the Xbox 360, which is a good thing. Gamers craving some helicopter combat simulation action should check out Air Missions: HIND. Flying Tigers: Shadows Over China is a worthy arcade style dogfight game created this gaming generation. Even though Flying Tigers is not a simulator it stays true to the WW2 1941-42 setting it is placed in. 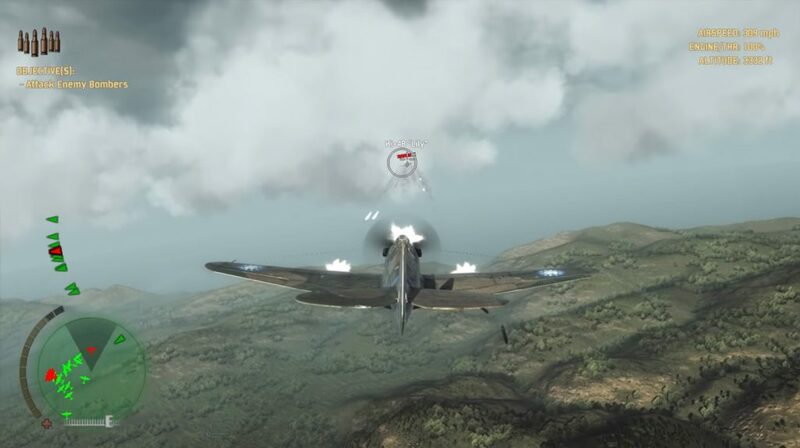 Flying Tigers 12 campaign missions are varied well and fun to play, but unfortunately, the campaign itself is on the short side at about 4 hours long. As an indie title Flying Tigers has good graphics, but don’t expect anything groundbreaking. Besides defeating the mission levels, there isn’t much sense of progression here. All 20 planes are already unlocked from the start. The multiplayer dogfight mode is still alive at certain times a day, but the lobby is rarely ever full. If you’re OK with a short campaign and other minor flaws, Flying Tigers is worth playing especially when bought during a sell at under $12. If you’re looking for a space combat experience that revolves around saving planet earth, Strike Suit Zero: Directors Cut is one of the best games you can play on current generation consoles. In Strike Suit Zero you can fly a variety of different spacecraft’s that have there own unique ability. Each spacecraft can transform into a mech style killing machine, which is useful when there is a large number of enemies surrounding you. The action is fast paced and frantic at times, but luckily your spacecraft maneuvers well enough to take down most incoming enemies with ease. Strike Suit Zero’s graphics look nice for a space combat game, better than a lot of other games in the genre. Strike Suit Zero has 13 different mission locations to play through, all are unique and have impressive designs. The music is also memorable and fits into the dark deep space experience. 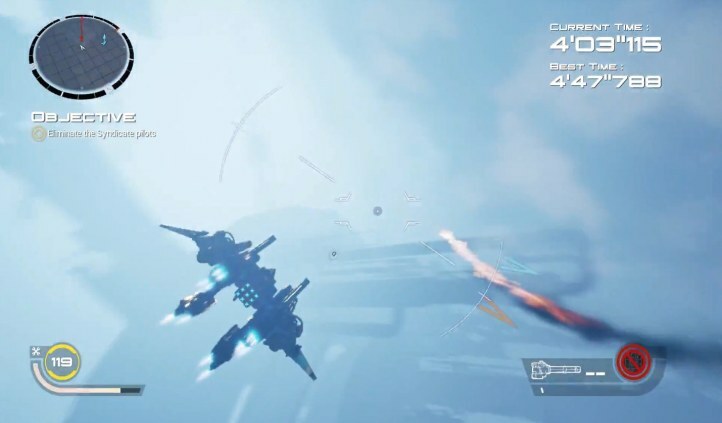 Overall Strike Suit Zero’s arcadey space combat gameplay is satisfying and the campaign is worth playing even though it’s a little on the short side (At around 5 hours long). 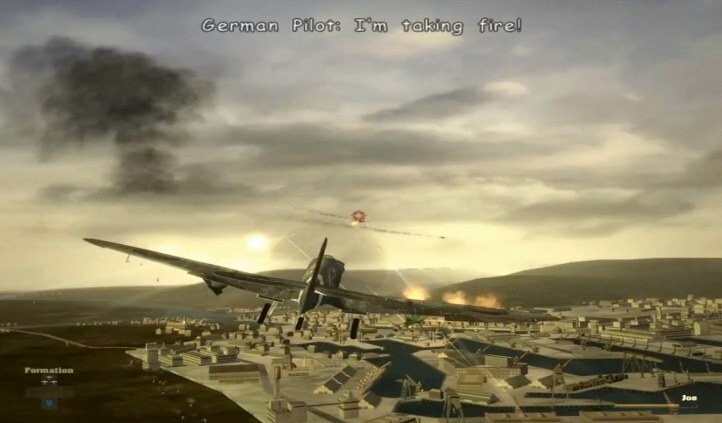 Blazing Angels: Squadrons of WWII is an older Xbox 360 game that’s backward compatible On Xbox One. As long as you can ignore Blazing Angels somewhat outdated graphics/resolution, It’s arcade-style combat gameplay still holds up decently well today. 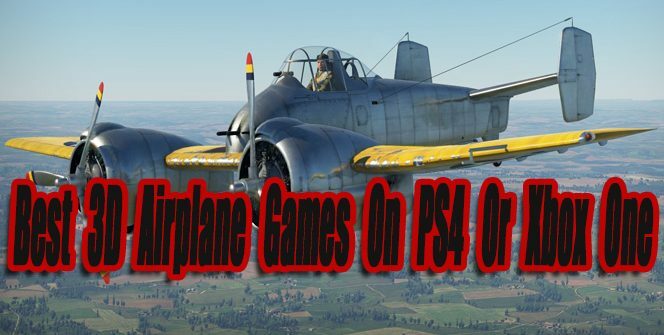 This game offers an impressive 46 playable airplanes from World War 2, but unfortunately, most play similar to each other. There’s really nothing too special about this game besides the fact that the missions are fairly fun to play through and the combat gameplay is done well. Considering this game is based on WW2 some story is expected, but there isn’t much story here. The games dogfights and missions can be intense at times but also start to feel repetitive after a while. I had fun playing this game in short sessions. Fans of the arcade flight combat genre will likely enjoy this game. Everspace is the most graphically impressive game on this list, especially when played on an Xbox One X. The spacecrafts, graphical effects, and the environments look amazing when played at a near 4K resolution. Everspace is not your standard flight combat game with missions or hordes of dogfights. EverSpace plays like a Roguelike game. Your goal is to make it through the entire planetary system without dying. If you die, you will have to start all the way from the beginning of the game. Deaths are not unrewarded though, with each playthrough you can earn credits to buy permanent upgrades for your spacecraft, making your spacecraft stronger and the game a little easier. EverSpace will be difficult for most gamers starting out and the roguelike gameplay won’t appeal to everyone. 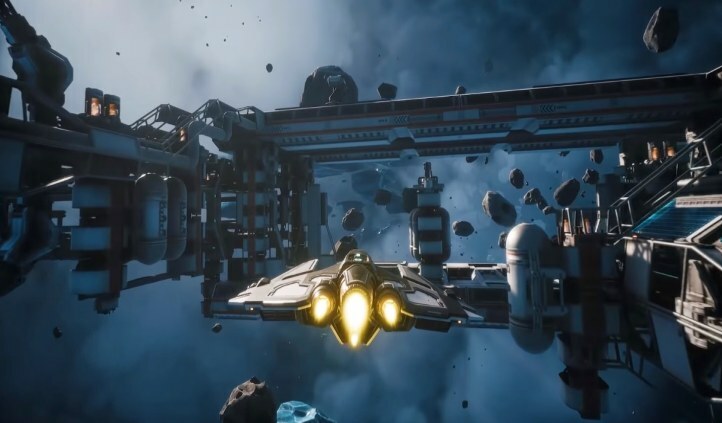 As long as you enjoy challenging Roguelike games, Everspace can be very addicting. 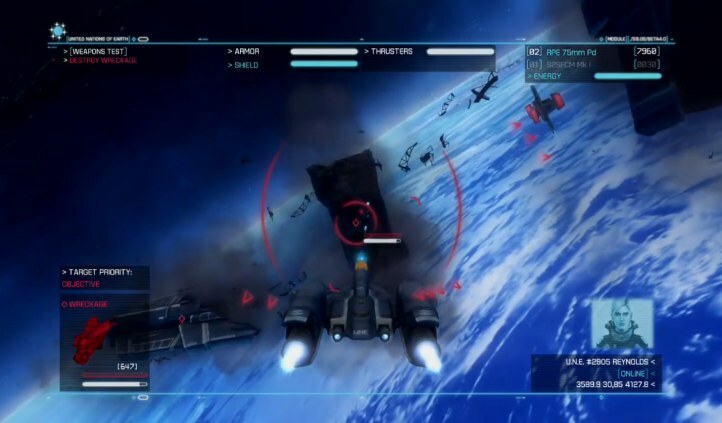 Strike Vector EX is a futuristic arcade-style flight combat game. The main modes in Strike Vector EX are the single player campaign and online multiplayer. The single player campaign is just average, the map designs are bland and the campaign is short. Strike Vector is one of the fastest flight combat games I have ever played. Luckily the controls work well considering how fast this game is. Having good reflexes will come in handy if you plan on playing online Multiplayer. The online multiplayer is my favorite part about Strike Vector EX, it’s challenging, fun, and great to play when you’re craving some quick online flight action. If you’re looking for another good Online Multiplayer game besides War Thunder, Strike Vector EX offers a unique experience. The following games either barely missed our top list or will only appeal to niche audiences. Dreadnought (Online Multiplayer Only) (PS4 Exclusive) – A free to play futuristic spaceship online multiplayer combat game. The gameplay might be a little slow for some gamers. The graphics are good and the free to play spaceship upgrade monetization seems fair. Blue Angels Aerobatic Flight Simulator (Xbox One Exclusive) – This game will only appeal to gamers that want to perform airplane trick maneuvers (Who wants to? lol joking). There’s no combat in this game. The graphics look like a high-resolution android game. For an indie aerobatic flight simulator, it’s an ok game. Elite Dangerous (PS4 | Xbox One) – Elite Dangerous is a deep space trading/combat simulator. It’s probably best to try this game yourself. I found it to be a little too open deep space, but some gamers love that type gameplay. Innerspace (PS4 | Xbox One) – A colorful cel-shaded indie space exploration game. The gameplay feels repetitive after a while and it’s not the most fun experience. If you’re into art style games, I think it’s worth picking up, as long as you can purchase it on sale for a cheap price. I am confident that Ace Combat 7 will be the best flight combat game released on PS4 or Xbox One. Konami has been taking there time with this game, I have a feeling the final product will be really impressive. GTAV – The single player campaign has a few airplane flying missions in it. You can also buy or steal a variety of aircraft’s when playing online or offline. Battlefield One & 4 – combat airplanes is a big part of the online multiplayer gameplay. Star Wars battlefront 1 & 2 – There is plenty of online multiplayer air combat gameplay, Rogue Squadron vs X-Wing. No Man’s Sky – Fly to planets in a spacecraft. Halo 5 & The Mastercheif Collection – Halo games have a fair amount of levels that have flying Banshees in them. Also, certain online modes offer flying combat. Flower (PS4 Exclusive) – a colorful art exploration game. Play as flower pedals flying through the air, on a quest to bring life back to dead environments. Panzer Dragoon Orta (Backwards Compatible On Xbox One) – An amazing on-rails dragon flying/shooting game. Action packed unique gameplay, you don’t see in modern games anymore. Eagle Flight (PS VR Exclusive) – A neat VR game where you get to fly like an eagle and experience an eagle eye view.